So many food trucks, so few parking spaces. 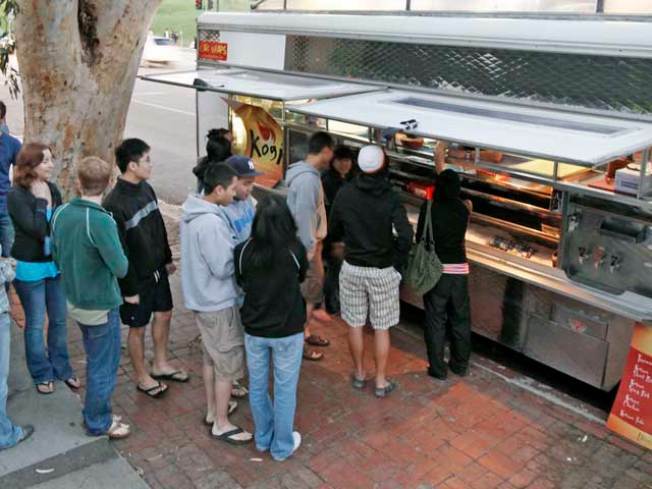 A dispute involving lunch trucks and restaurants on Wilshire Boulevard is on the city's plate. The council discussion stems from the ongoing battle involving the trucks and restaurants in the 5700 block of Wilshire.